This is intended to inform you of the requirements a student must meet to be placed in the BRMS accelerated mathematics course of study. 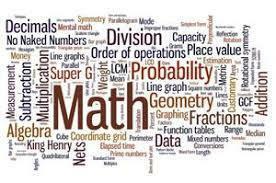 The students are evaluated and recommended for accelerated placement based upon multiple criteria developed by the middle school mathematics teachers and school administrators. The accelerated mathematics curriculum is rigorous. It focuses on actively engaging students in the development of mathematical understandings. Students must work independently and cooperatively to solve problems. This curriculum demands a shift toward applying contextual mathematical concepts and skills to real life word problems and understandings. Therefore, students must have a strong foundation in math, be highly motivated, and have exceptional work habits. Once a student accepts placement in an accelerated course the expectation is that they are willing to accept the challenge that comes with the advanced course. Therefore, they will remain in the program unless it is determined by the teacher and administration that the placement is not best for the student. While the parents opinion will be weighed, the decision will be ultimately determined by our staff. Students must meet the criteria outlined below for new/continued placement in an accelerated mathematics course. If your child does not meet the criteria, the recommendation for next year will be for him/her to be placed in the on-level program of study. All students entering BRMS grade 6 will be given a placement test. Students who meet the required score on the placement test and receive their teacher’s recommendation will be accepted into the accelerated 6th grade course of study. Students currently enrolled in an accelerated course will continue with the accelerated progression dependent upon teacher recommendation and classroom performance. Classroom performance includes marking period averages, work ethic, benchmark assessments, and student motivation. Criteria #1: Combined quiz and test average for the first three marking periods must be a 93% or higher. Criteria #2: Teacher recommendation based on class performance and work habits. Criteria #3: Student performance on placement test. Students transferring into BRMS will take a placement test for entry into an accelerated level course. please contact Mr. Schurtz or Mr. Sprague with further questions.